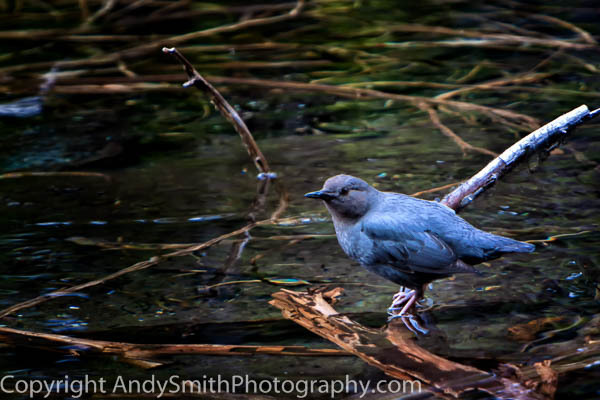 A chunky bird of western streams, the American Dipper Cinclus mexicanus, is North America's only truly aquatic songbird. It catches all of its food underwater in swiftly flowing streams by swimming and walking on the stream bottom. This Dipper is in a stream near Mt Bachelor along the Cascade Lakes Scenic Biway.